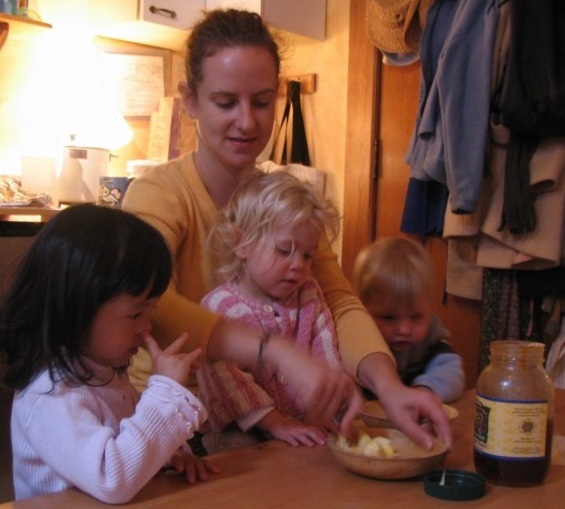 Picky Eater and Play at Mealtimes - Joyful Toddlers! In the past month we drastically changed our family’s diet, and my 3 year old is slow to warm up to the new food. I see some progress but he has a new trick that is getting old very fast. We sit together as a family at the table for mealtimes, there is a lot of playing, singing, talking, clowning around, and very little eating going on. Half an hour goes by and he has only put a few bites in his mouth. There are no more firm No’s, no tantrums of him wanting the old food, he is just ridiculous and distracted. Any ideas you have would be really great. Hang in there! Changing your diet is a big transition. Here’s what I do with kids who are too distracted to eat: I’ll start telling a story, or singing a song. About every 30 seconds I pause and say, “Take a bite!” and I TAKE A BITE. This works well because the focus is on the story, but the bites get eaten. It can either be a classic children’s tale like The Three Little Pigs or Sweet Porridge, or it can be a story that you make up or about when you were a kid. For a long while I had an ongoing story that I’d make up about Pirate Jack that I’d tell only at the table. It always started the same: “Once upon a time there was a pirate named Pirate Jack. He didn’t live in a house like you and me, he lived in a….” and the kids chorus: “BOAT!” Once we’d get into the new adventures of Pirate Jack I might say, “Then Pirate Jack stepped up with his parrot on his shoulder, and… take a bite!” And I’d take a bite. Then I’d continue the story. The key is that every time you say, “Take a bite!”, then YOU take a bite. Children are so strongly imitative that chances are strong that they will do it too. If he doesn’t at first, do the first two or three on your own, and when you see that he’s really fascinated with the story, the next time you say, “Take a bite!” and you take a bite, then wait and look at him expectantly. If nothing happens, say it again: “Take a bite!” and take another bite, then wait expectantly. This is usually all it takes; only VERY occasionally have I had to say, “Oh, I guess you don’t want to hear the rest of the story.” In this way, I have often gotten a full bowl into my children with them hardly noticing. Occasionally, alter it a little and say, “Take a sip!” and take a sip of your water. For children between one-and-a-half and three, if they can’t track a long story, I’ll use a song that has lots of repetition, and “Take a bite!” between each ‘verse.’ Favorites of ours have been “Five Little Ducks Went Out One Day,” and “The Wheels on the Bus.” In the wintertime I do “Frosty the Snowman,” which isn’t repetitive but still works well. Some older children love the songs as well. Finally, I’ve noticed that children often eat in ‘waves’, where they rest for awhile and then eat again, so don’t take your son’s plate away just because he gets distracted from eating for awhile. The trick is keeping them at the table and then getting the next bit in their mouth so they can remember to start eating again. Remember, our job is not to make our children eat; our job is to offer them healthy foods and create a pleasant experience at the table. They will eat what they need. Thanks for your kind words, Elizabeth! It makes me feel great to know that. The last three articles (Acting out, Throwing toys and Picky eater) all hit so close to home. It was like you were speaking directly to me! Our daughter just turned two and is experiencing so many big emotions and changes and your articles really help me learn how to react calmly and in a way that is beneficial to her and myself. 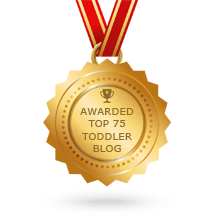 I honestly feel calmer and more confident in my parenting after reading your site. Thank you!